We have thousands of instruments and products in store. Come visit us in our Brighton location to be blown away. To be a quality musician you need a quality instrument. in helping you find the right products to suit your needs. Established soon after Ron left school, Ron Leigh’s Music Factory has long been associated with “the best in the business”, not just because of Ron’s musical background and the knowledge that he brings to the store, or the scores of successful musicians who gained their early education at the store, but through the respect the store has earned for excellence in music tuition, sales, repairs and service through nearly 40 years in the music industry. We look forward to assisting you on your musical journey no matter your musical needs. We will help find the right instrument for you. Look at our online store for a small selection of instruments, or better still, come in to see the large range on display….and if we haven’t got it, we’ll do our best to get it for you ! Also we invite you to stay in touch with everything that’s new, and receive invitations for in store workshops and clinics on everything from the latest in amplifiers, effect pedals, home recording, song-writing, and the playing styles of some of the best musicians and more! We have electric guitars starting from as little as $179, and starter packages (which include an amplifier, strap, bag lead, tuner, and picks) from $279! Wanting something a little more? Then check out the Vintage and DanElectro ranges of guitar for retro and classic replicas at a fraction of the price of the original, while still maintaining a remarkable “build quality” Tokai electrics also represent great value and should definitely be considered. We also have some pre-loved and vintage Gibson, Ibanez, Hofner, G&L classics from time to time. 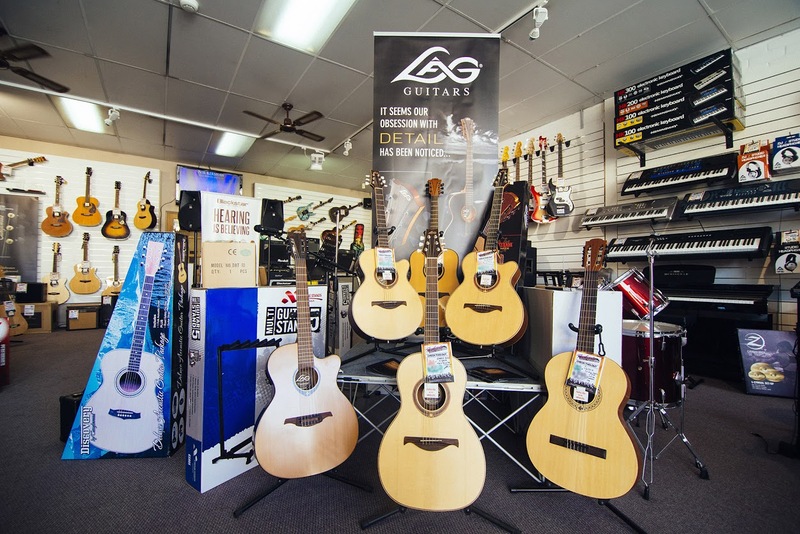 We are proud to carry a range of acoustic guitars suitable for the first time buyer to the professional. Brands we carry include Breedlove, Seagull, Takamine, Tanglewood, LAG, Timberidge, Vintage, Martinez,SX, Bryden and Greg Bennett….. 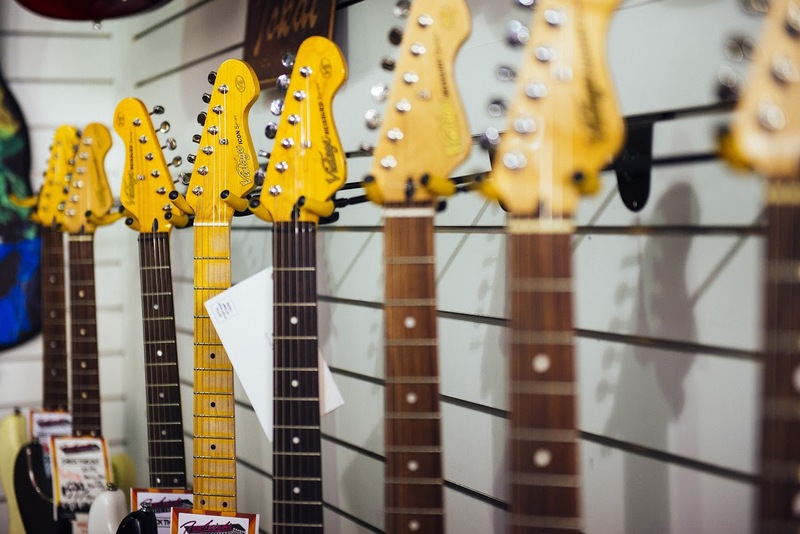 If we haven’t got the guitar you want in-store, we will try to help source it for you. Each brand has a story, and every one is different… so come by and try them out! Classical guitars (sometimes called folk or nylon string guitars), are often the choice for beginners as they are “a little more forgiving” on the fingers. Nylon string guitars start in price at $75 for a 1/4 size guitar and like all instruments range upwards as the quality of materials and build increases. We have quite a range of Valencia, Katoh, Admira, Alhambra and K.Yairi classical guitars from which you can choose. There is such a huge range of pedals available these days for guitarists, bass players and vocalists ! From the multi-effect pedal to the single “stomp box”. Our range includes, Digitech, MXR, Way Huge, Zoom, Behringer, iRig, Mooer to name a few…. and there are new names arriving on the scene every day! Ukuleles, Banjos and Mandolines are fun, portable and easy to play. You can’t be depressed when you play a uke ! We have a huge and constantly changing selection of ukuleles of all sizes, shapes, colours, and brands. 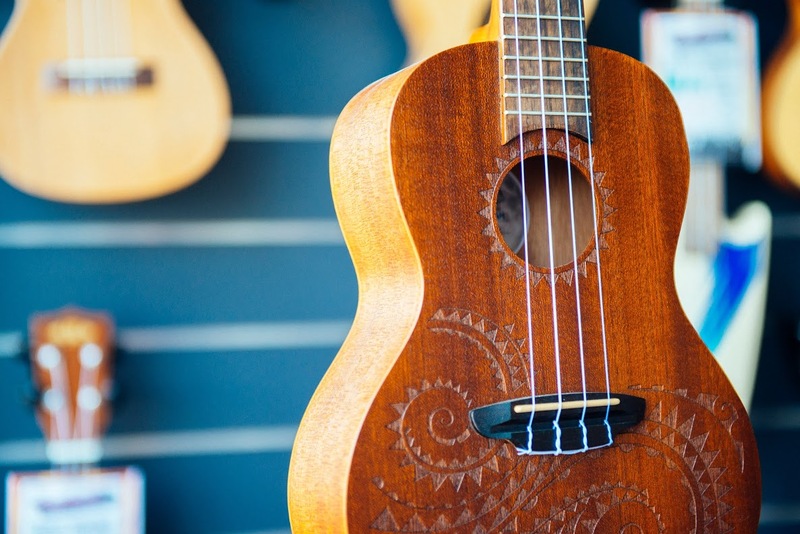 Ron is a ukulele expert and enjoys helping you select the right one for you. Check out our range of Kala, Makala, Lanikai, Eddy Finn, Cordoba, LAG and Mahalo,Tiki ukuleles. While it is not possible to show all the books and music we carry, please be assured that if it is an AMEB or any other exam syllabus (Trinity, ANZCA) publication for any instrument we will source it as quickly as possible for you. We also stock popular instructional and song books, and DVD’s for the contemporary instruments, such as guitar, bass, drums and ukulele. It’s truly amazing the results that you can achieve at home. Whether you are making your first “demo”, working on song ideas, or want to just use the process to improve your improvising … the sky is the limit. We offer portable recording devices from Zoom, Mooer and NU-X andoffer a vairety of software packages. We have a very wide range of musical items to offer. Ranging fromcables & accessories, drum kits, collectors items, folk instruments, equipment cases and much much more. If we dont have it we can get it, so come in and see how we can help you today. CANT MAKE IT INTO THE FACTORY? Ron began his life of music in the early 70’s as a music teaching school. With Ron’s rich experience from studying classical guitar, and subsequently teaching in some of Melbourne’s most prestigious private schools, to working as Musical Director for Colleen Hewett and John Farnham ( including a Royal Command Performance for Prince Charles ). Playing guitar for hugely successful musicals such as Godspell and Pippin, recording studio work for jingles and albums, writing commercials, live television performances from the Sydney Opera House with Tommy Tycho, studying at and subsequently teaching at the world famous Guitar Institute of Technology ( now re-named Musicians Institute ) in Los Angeles USA. 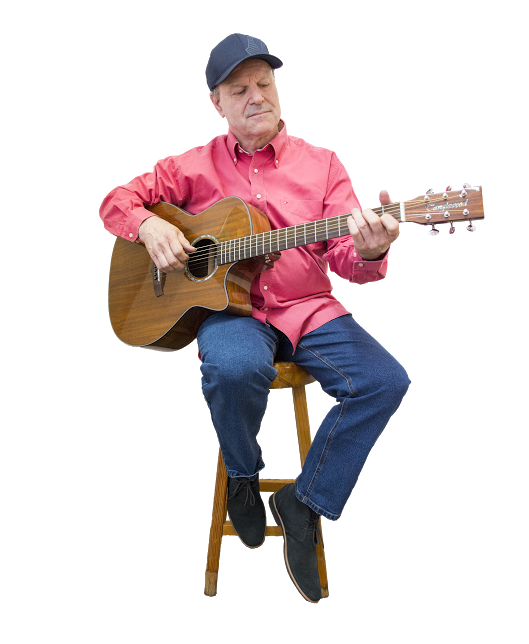 In addition he has had his songs recorded in the U.S.A., co-managing the careers of Tommy Emmanuel, The Badloves, Russell Morris and John Foreman, working with the community in developing alcohol-free / drug free events. 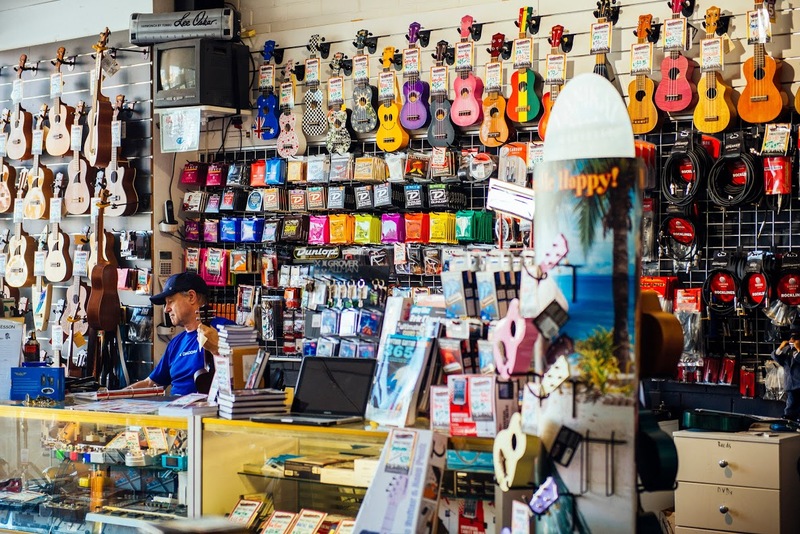 ….and all the while managing the retail and teaching operations of the store….there’s not many areas of the music business that Ron hasn’t been involved in, and this “pedigree” means that the store, through Ron and his staff, can offer expertise in music unlike any other in Australia !